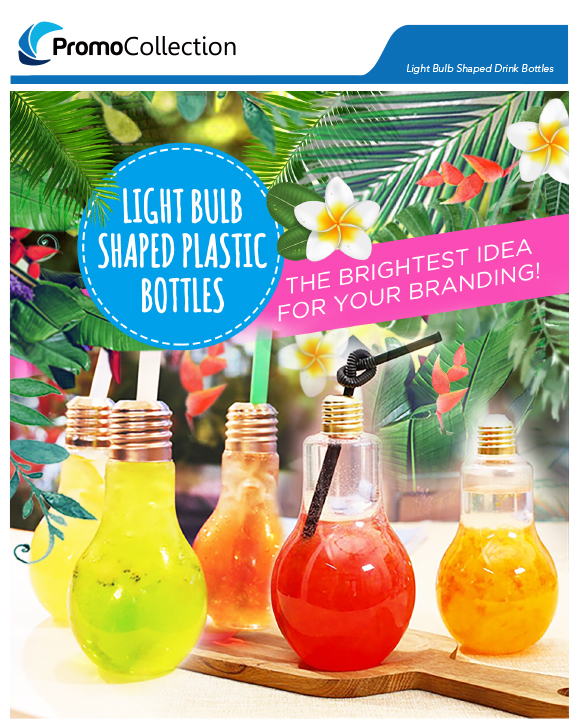 Creative light up bulb water bottle is a great promotional giveaway product that should fit the needs of your clients when they are after something special. 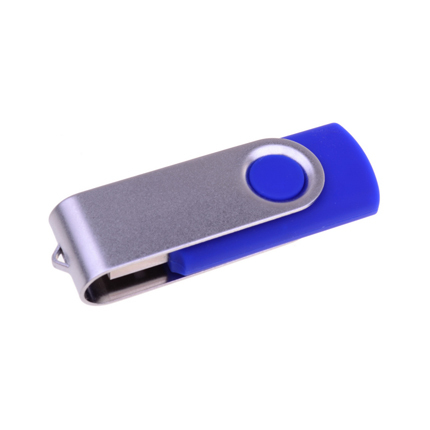 It is a trendy and modern item that is appealing and practical, available in different capacities. It is far more than a water bottle, and you can also use it as a decorative vase. You can choose to print your company name or advertising slogan on the bottle. The bulb-shaped light up bottle comes with two types of lights available. 1. Multicolour flashing LED light (which mixes blue, green and red lights to create a raindbow effect), which has 3 flashing modes: constant flashing, fast flashing, slow flashing. You can cycle through the different modes by pressing the button on the bottom of the bottle. 2. Constant illumination light, mixing blue, green and red lights to create a rainbow effect. This light has on and off two settings only. 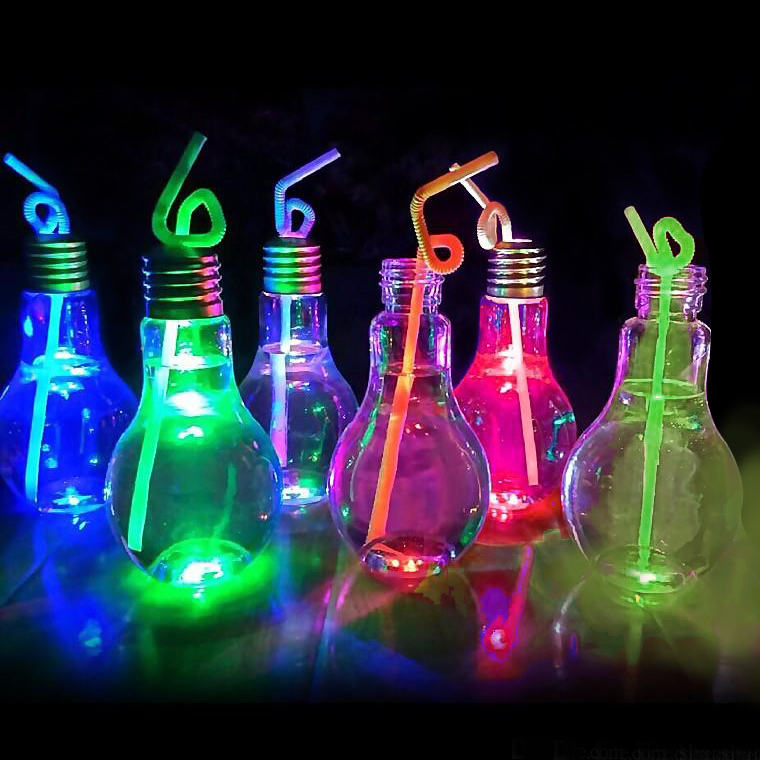 The bulb-shaped light up bottle comes with two types of lights available. 1. Multicolour flashing LED light 2. Constant illumination light. Additional Info Please note that this product features a removable button battery, and is not recommended for use by children. 1. The closure flap seal on the top of the bottle, with regular use can be used many times without issue. However, if it is shifted with force left or right, may result in breakage.